September 04, 1997, L. G. Crabo. 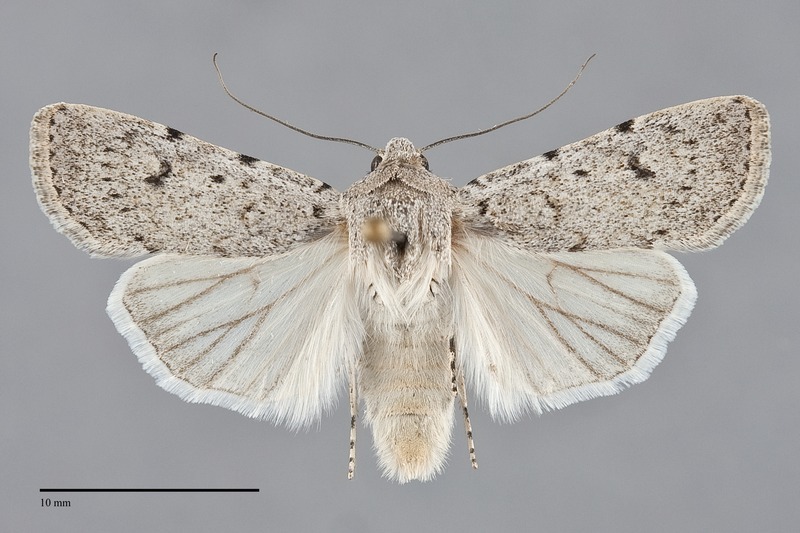 Euxoa catenula is a common powdery cream to light gray small lto medium-size Euxoa (FW length 13–16 mm) with small dark orbicular and reniform spots that flies in dry habitats during late summer and fall. The most familiar nominate subspecies occurs east of the Cascade Mountains. It is cream, pale tan, or pale gray, heavily sprinkled with dark scales over the entire wing. 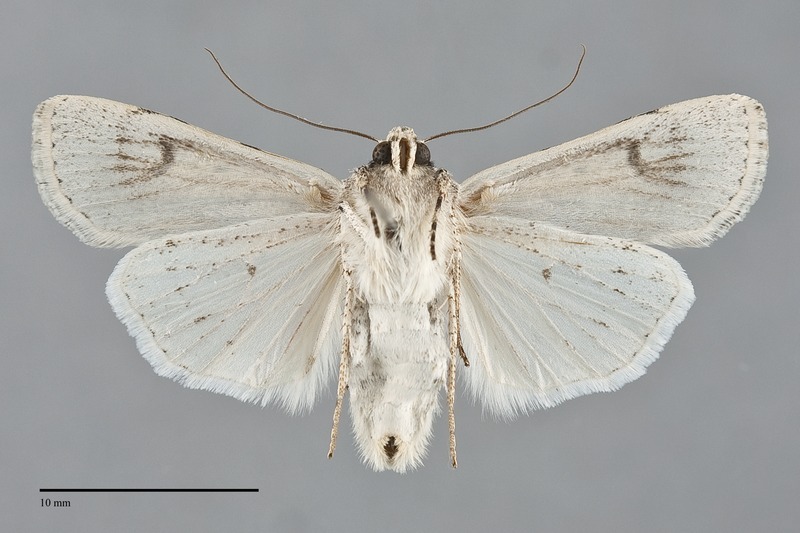 The distal wing is slightly darker in most specimens, but only a few have gray that is clearly confied to the terminal area. The basal, antemedial, and postmedial lines form distinct single black spots on the costa and are weak elsewhere. A black spot is usually evident on the cubital vein at the basal line. 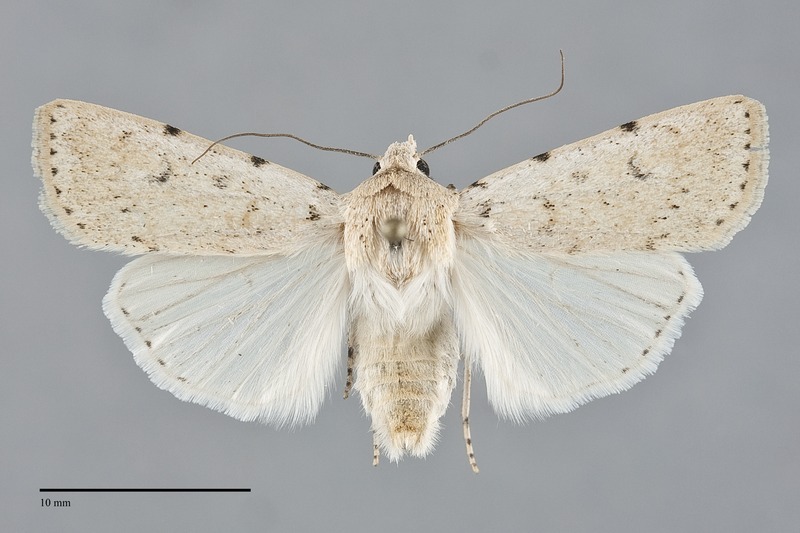 The antemedial line is faintly visible across the wing in roughly half of all specimens. It is slightly irregular except for a lateral bulge between 1A+2A and the posterior margin, and is oriented perpendicular to the long axis of the wing. The median line is usually absent, rarely faint near the costa. The postmedial line is gray, thin and strongly toothed, often with a series of short black lines on the veins adjacent to the tips of the teeth, drawn basad on the costa, bent below the costa or smoothly curved around the reniform spot, and slightly oblique toward the base on the posterior half of the wing. The subterminal line is usually absent, evident as a color transition in those specimens that have a gray terminal area. The terminal line is a series of small or prominent black spots. The fringe is concolorous with the terminal area. The orbicular and reniform spots are small, with pale outlines of the ground color and powdery blackish gray filling. The orbicular spot is round and the reniform spot is kidney-shaped. The claviform spot is absent. The hindwing is pure white with white to light gray veins in males, rarely with darker gray peripheral suffusion, whitish tan with darker gray veins and more extensive gray suffusion in females, with small thin discal spot and continuous or broken dark terminal line. The fringe is white in both sexes. The head and thorax match the forewing color, without dark markings on the collar. The male antenna is strongly biserrate. 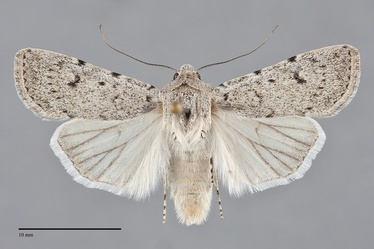 Populations from near the Gulf of Georgia in Washington and British Columbia are silver-gray with very strong salt-and-pepper dusting of black, with complete antemedial and postmedial lines, a strong median line, dark fillings of the forewing spots, and hindwings with darker gray peripheral suffusion and other markings in both sexes. Those from southwestern Oregon are smoother blue-gray on the wing base and costa and brown-gray elsewhere, with indistinct markings that are similar to the east-side form but lacking black fillings in the spots, and light gray-brown hindwings with dark veins. Euxoa catenula is placed in the large subgenus Euxoa. This species is most likely to be confused with Euxoa tronellus and Agrotis vetusta. Euxoa tronellus is similar in many respects but is usually slightly more yellow in color, has less dark suffusion, and lacks dark filling of the orbicular spot. Dark specimens of it usually have stronger gray terminal area than E. catenula. Unique structural features of the genitalia exist in both sexes of E. catenula. The tips of the female ovipositor lobes have apical flanges which can be seen under strong magnification without resorting to dissection. The male valve has a short curved harpe that usually requires dissection for visualization. Agrotis vetusta is usually a larger and grayer species that lacks dark terminal lines on both wings and the dark orbicular spot that are typical of E. catenula. This species is geographically variable in the Pacific Northwest as described above. The west-side populations from Vancouver Island and adjacent northwestern Washington are referable to subspecies E. c. lindseyi Blackmore. The type locality of Euxoa lindseyi Blackmore is Goldstream, British Columbia. Those from southwestern Oregon are unnamed. This species is widely distributed in dry habitats throughout most of western North America. In the Pacific Northwest, it is most common in dry sagebrush steppe, but also occurs in disturbed agricultural habitats at low elevations. It is also common in mid-elevation open ponderosa pine forests and juniper woodlands. It is less often found at higher elevations on rocky ridgetops and forest openings. Euxoa catenula is most common during drought years and may be relatively rare during wet years in Oregon. 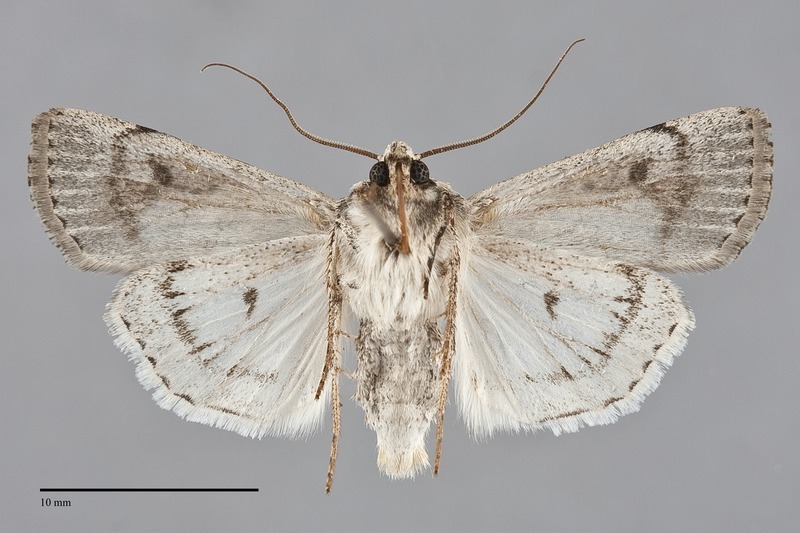 The nominate subspecies is widely distributed from southern British Columbia through the dry interior of Washington, Oregon, and Idaho. The disjunct subspecies E. c. lindseyi occurs on remnant grasslands in the Olympic Mountain rainshadow near the Gulf of Georgia in southwestern British Columbia and northwestern Washington. Euxoa catenula occurs in the Oregon Cascades and west of the Cascades in the Siskiyou Mountain region in the southwest corner of the state. 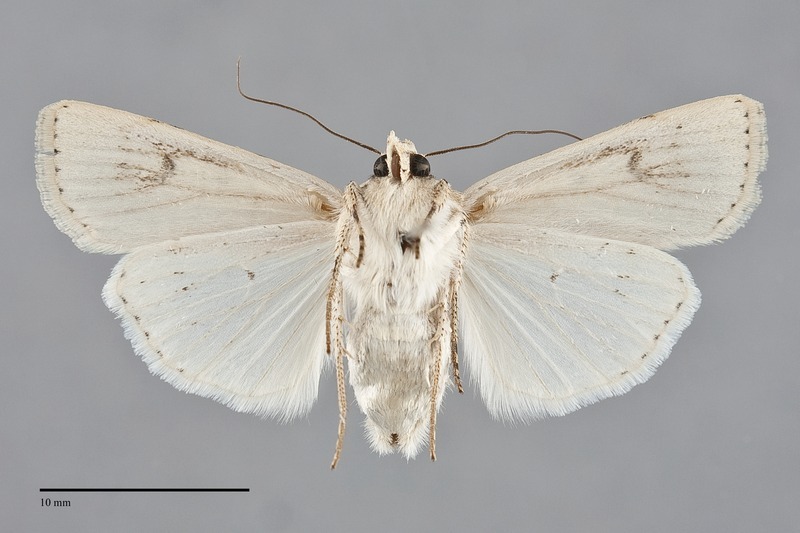 This moth is widespread in the American West. It occurs from southern Canada and the western Dakotas south to the Texas Panhandle, the central parts of New Mexico and Arizona, and southern California. 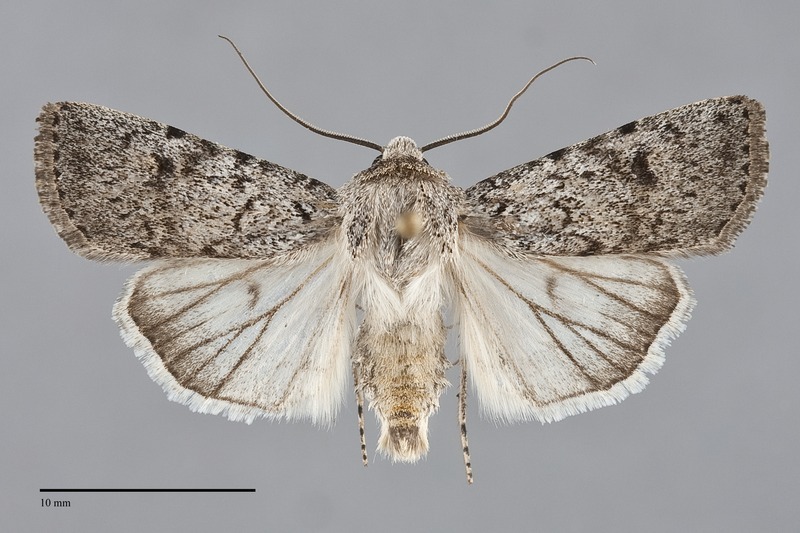 This species is a soil-surface feeding cutworm that feeds on various herbaceous vegetation in such families as the Fabaceae, Brassicaceae, Asteraceae, and Violaceae. Adults fly in the fall east of the Cascades where it is most commonly collected during September. It flies slightly earlier during July and August near the Gulf of Georgia. Euxoa catenula is nocturnal and comes to lights. Like many other fall-flying Euxoa species it can commonly be found taking nectar at the flowers of rabbitbrush (Ericameria nauseosus, Asteraceae). This species is sometimes a minor pest in agricultural crops such as alfalfa.